In a secret fortress buried in the Antarctic ice! Can your heroes stop them in time? 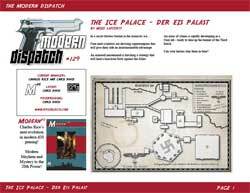 A WWII adventure for Modern20 and Supers20.